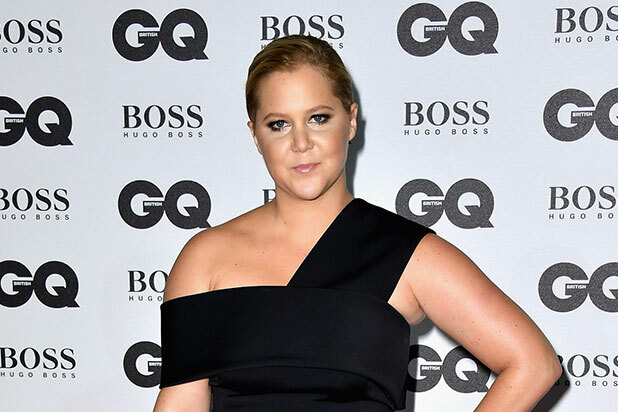 Comedian Amy Schumer questions why more white players in the National Football League aren’t kneeling in protest with their fellow teammates. Schumer took to Instagram on Friday to offer some thoughts on the protests during the National Anthem and to support activist and former quarterback Colin Kaepernick. Kaepernick began kneeling during the National Anthem before NFL games during the 2016 season as a means of raising awareness, and protesting racial inequality in America and the shooting deaths of unarmed black men, women and children by police officers. The number of NFL players taking up the protest and kneeling during the anthem has dwindled as the league has attempted to curtail the issue. The protests created a firestorm in the media and among football fans. President Donald Trump made the protests one of his main issues on Twitter, saying that players who kneel during the National Anthem should be fired. Schumer also said it “would be cool” if Maroon 5 pulled out of performing in the 2019 Super Bowl halftime show and noted that she told her reps she wouldn’t do a Super Bowl commercial this year.